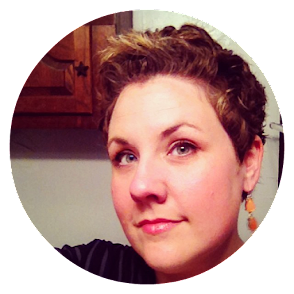 Estella's Revenge: March 2015 Wrap Up! March, March, March. A slow month for reading, no doubt, and I'm not sure April will be any better with a pile of birthday celebrations at hand, traveling to a work conference, and the Readathon on the 25th. The Readathon, in theory, should give me a boost, but we'll see how it goes down on that day! Here's the handful of books and comics I read in March, tho. Landline, by Rainbow Rowell, and Bone: Out From Boneville (vol. 1), by Jeff Smith, were the only books over 25 pages that I read in March. I really loved both of these. Landline hit the perfect sweet, quirky, sentimental note while Bone was just a great, fairy-tale'ish good time. 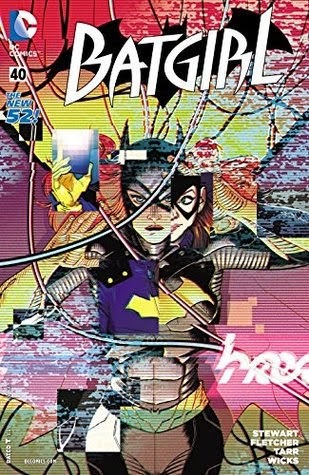 Batgirl has very quickly become one of my favorite comic book series. This run by Brenden Fletcher, Cameron Stewart, and Babs Tarr is so lighthearted in comparison to most superhero comics. Issue #40 was a great way to cap the first run. 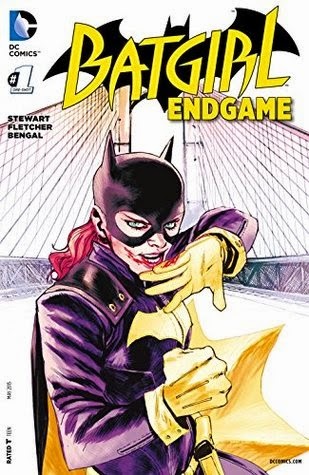 Batgirl: Endgame, a wordless comic, was ok but not my fave. 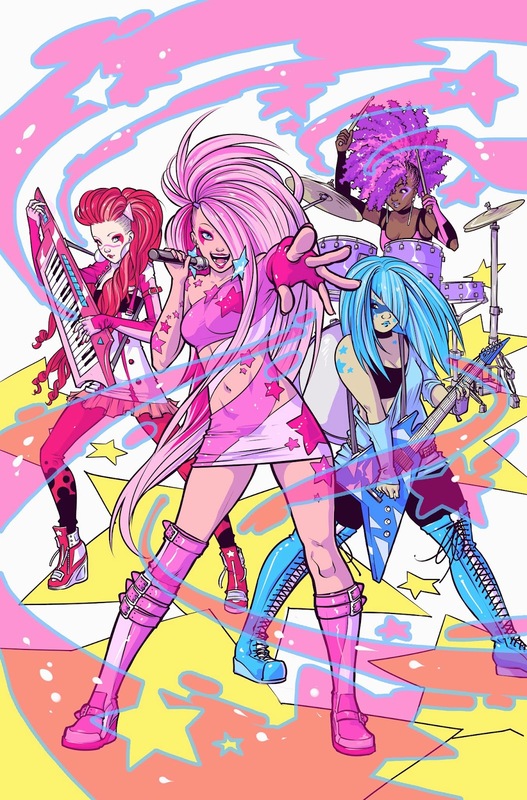 Jem and the Holograms #1, by Kelly Thompson, Sophie Campbell, and Amy Mebberson, was definitely a highlight for me this month. The series is beautifully illustrated and I felt all the nostaglia of 1985 while I was reading...with a few pertinent updates. It wasn't about quantity this month, but the quality was nothing to sneeze at! What was your favorite book this month? Comic? I don't keep track of my reading month to month so I'm not sure what my favorite book was but I just finished The Kind Worth Killing and loved it. Happy Easter to you and your family! 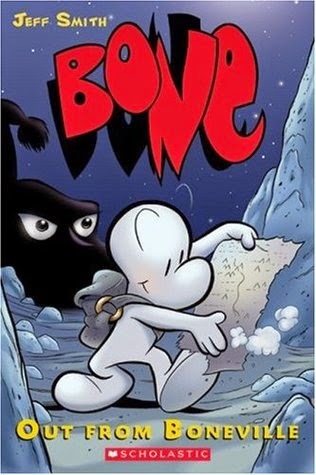 Um, I seriously need to hear more about Bone. A fun month for books! Happy April reading! March wasn't the best reading month for me either. The Lumberjanes series was easily my best read. Happy Easter! They have a Jem and the Holograms comic? I need to get down with this! I loved that cartoon as a kid! March was dreadfully slow for me too but here's hoping April will be better! 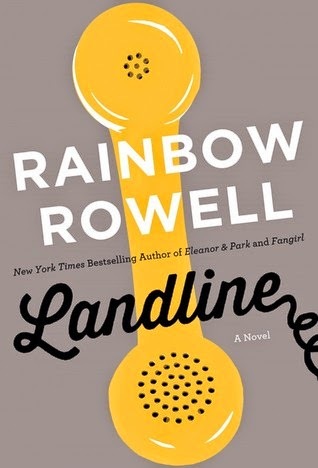 I have to read Landline - that's the one Rainbow Rowell book I haven't read yet. March was a super slow reading month for me too. Here's hoping this month is better and I'm looking forward to the read-a-thon! March was a fun reading month for me. I didn't get to read absolutely everything I wanted to read, but I loved a Nick Hornby book for the first time, which was nice, and I read a bunch of totally crazy (& fun) things. I hope April can contain slightly more books but an equivalent level of fun. Yay Jem!! I am sure I will be checking that out, but might have to wait for a trade... Just behind in everything. I loved Landline. Hooray for Rainbow Rowell being able to write about anything! My favorite in March was probably The Storied Life of A.J. Fikry, just because of what a perfect read it was for my business trip! Landline. Oh man, Landline was just so good! Landline is definitely a keeper! I listened to it a while back and loved it. Haven't managed to get myself into graphic novels or comics yet, though. My favorite read of March was definitely Prodigal Summer by Barbara Kingsolver. It was just the kind of book I needed. I love it when that happens! I really enjoyed Lumberjanes. I must get to Batgirl - it sounds good! I had a great month of reading in March! How to pick a favorite, though? ? Wonder or The Bear or The Rosie Project? Tiny Beautiful Things? So many great books! My list is here . Jen and the Holograms looks SO GREAT. I started reading my friend's copy of Black Science, which was super weird and interesting, but he took it back from me. I need to get back on that comics grind, it's been too long. Happy April!